The community needs your participation to help Fairchild Air Force Base land new KC-46A tankers. This marks the second time Fairchild has made the short list to receive new tankers, following its first review a few years ago. 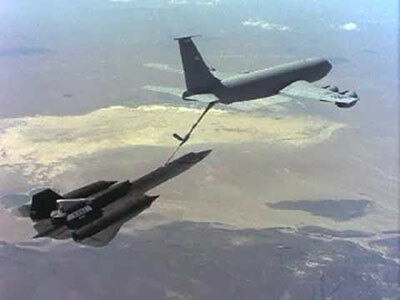 The Air Force is holding a series of Environmental Impact Statement (EIS) scoping meetings across the U.S. regarding the proposed beddown of KC-46A tankers at Fairchild Air Force Base. You can attend the Spokane U.S. Air Force Environmental Impact Statement Scoping Meeting, Thursday, January 12, 5-8pm at The Lincoln Center, 1316 N Lincoln Street. These scoping meetings assess the potential environmental impact of receiving KC-46A tankers at Fairchild, which will require personnel, facilities to support aircraft operations, and pilot and operator requirements. The Jan. 12 scoping meeting is arranged in a 'come and go' format, with no formal Air Force presentation or opportunity for public testimony. Additionally, written comments will be accepted at the meeting. Dry Fly Distilling is in the process of opening a new 1,200-square-foot tasting room early next year, for product tastings, classes and private event rental. It's in a former coffee shop space at the Riverwalk complex, 1003 E. Trent, where their production facility is located. Dry Fly has also opened a bar in the Spokane Arena offering their spirits as well as beers from Iron Goat Brewing and wines from Townshend. 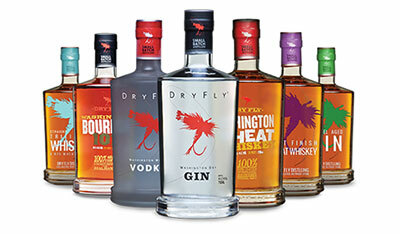 Dry Fly produces vodka, gin and 11 different styles of whiskey. Get more information at dryflydistilling.com. Kiplinger's Personal Finance magazine ranks Gonzaga University the No. 38 best value among private universities in the nation for 2017. In addition, Kiplinger's ranks Gonzaga the No. 127 best value among all colleges and universities (public and private) nationwide. Unlike some other rankings, which include subjective criteria in their assessments, Kiplinger restricts its analysis to measurable standards of academic quality and affordability. The complete rankings are now available online at kiplinger.com/links/colleges and will appear in print in the February 2017 issue of Kiplinger's Personal Finance, on newsstands January 3. The Spokane Tribe will hold its first of several STEP Job Fairs on Tuesday, December 20. The Job Fair will focus on construction related jobs only at this time. Future job fairs will be announced in 2017 focusing on other job sectors. The Job Fair will be held at the Wellpinit Fairgrounds, and runs from 10am to 1pm. Construction related job applicants should bring a current resume to the STEP Job Fair where applications will be available to submit. The Spokane Tribe's TERO staff, the Spokane Tribe's Phase One project General Contractor, sub-contractors, members of the Union Building Trades Council will be available to explain employment and training opportunities. The mixed-use development will bring over 5,000 jobs to the region. Over 1,200 construction jobs with wages of approximately $65 million will be created over the phased build-out. Phase One of the STEP construction began last month (November 2016) following the casino groundbreaking ceremony. Phase One construction will include a casino, restaurant/bars and express deli. The STEP mixed-use development in full build out will include a casino, resort hotel, retail and commercial development, entertainment facility, Tribal Cultural Center and wellness center. For more information, call the Spokane Tribe TERO Office at 509-458-6529 or visit stepspokane.com. 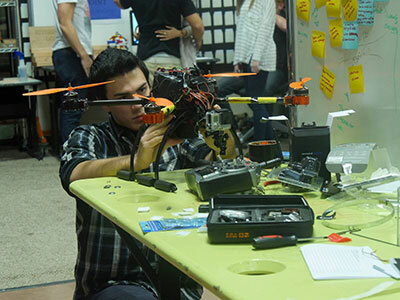 You can see some creations of the inventors of the future tomorrow, December 20, as Riverpoint Academy students and staff are hosting their 2nd Annual Tinker Faire. This event is a fun exploration of hands-on science experiments, innovative engineering projects and artistic creations that Riverpoint Academy students have designed as learning experiences for Shiloh Hills and Colbert 6th grade students. There are two interactive sessions. The first takes place from 9:45-11:15am and the second from 12:30-2pm. Riverpoint Academy, a 9-12 grade Mead School District STEM focused high school, is located at 11008 N. Newport Highway in Spokane. Bernardo Wills Architects with general contractor Garco Construction, recently secured two significant design-build projects: the Washington State Department of Transportation North Central Region Administration Facility in Wenatchee (pictured above, top) and the BCT Complex, Unaccompanied Enlisted Personnel Housing at Joint Base Lewis-McChord near Tacoma (pictured, above, 2nd). Bernardo Wills Architects also will provide interior design services for both projects, for which LEED Silver certification will be sought. The $8.9 million, 30,000-square-foot, two-story North Central Region Administration Facility will replace and consolidate several Department of Transportation facilities in the area to centralize functions and improve efficiency. To address one of the project's goals - attracting new talent - the facility will feature a mobile office concept with open offices to maximize staff collaboration and comfort. The new facility will house executive and management private offices; open office areas; staff support space; conference rooms; break rooms; project engineering offices with locker storage and showers; and mechanical, electrical and communication rooms. Occupancy is slated for January 2018. 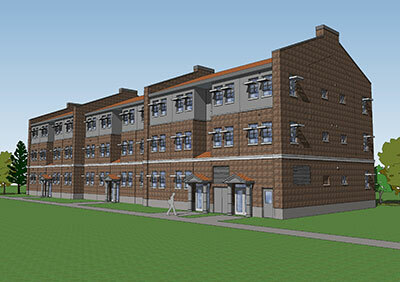 Totaling 120,000 square feet, the $42.5 million Unaccompanied Enlisted Personnel Housing apartment-style complex will comprise four three-story buildings with two-bedroom dwellings to house approximately 350 people. Support spaces will include a mailroom, a laundry room and equipment storage. 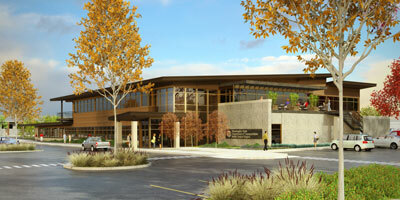 Adhering to the base's architectural guidelines and themes, the design will be a modern version of Joint Base Lewis-McChord's old fort style. Construction is scheduled to be completed in June 2018. The Kalispel Tribe of Indians and Northern Quest Resort and Casino teamed with Operations Spokane Heroes (OSH) for the past 14 years to help area military families celebrate the holidays with gift cards. OSH is a volunteer group dedicated to providing support to military men and women and their families in the Spokane area. This year, the Kalispel Tribe donated $12,500 which was used to purchase 125 $100.00 gift cards. During a public event conducted by OSH Chairperson, Sandy Kates, the cards were distributed to Spokane's military leaders to be given to military families in need this holiday season. During the event, members of Employer Support of the Guard and Reserve (ESGR) were there to make a surprise presentation of the prestigious Seven Seals Award. The Seven Seals Award is the broadest and most inclusive award given by ESGR and is presented at the discretion of the state chair. The award is presented in recognition of significant individual or organizational achievement, initiatives, or support that promotes and supports the ESGR mission. The Seven Seals Award is symbolic of the seven services: Army National Guard, Army Reserve, Navy Reserve, Marine Corps Reserve, Air National Guard, Air Force Reserve, and Coast Guard Reserve. Camp Fire Inland Northwest has announced the start of construction to modernize and expand the Lodge at Camp Dart-Lo. The 51-acre summer day camp, which is owned and operated by Camp Fire Inland Northwest, is heavily wooded and located on the Little Spokane River in north Spokane. Walker Construction is overseeing the $317,000 project. The Lodge has seen very little improvement, other than basic repairs and maintenance, since it was built in 1947. The construction will bring the building's original footprint to one level and make it ADA accessible. Wheelchair accessible restrooms, a new kitchen, reception area and a health room will be added. On the exterior, an ADA driveway, entrance and ramps will be included. The project will also add modern heating and air conditioning. Originally, the lodge was built with the intention of summer use only. The improvements will allow Camp Fire Inland Northwest to expand its indoor and outdoor youth programming to year round and allow private rentals. Camp Dart-Lo serves boys and girls ages 3 to 18 and is located just minutes from Spokane's major urban neighborhoods. For more information, visit www.campfireinc.org. 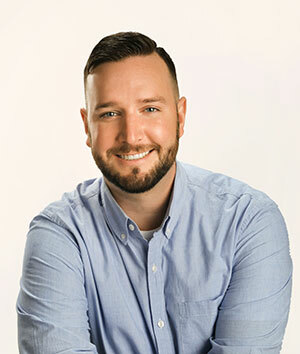 Justin Schmidt, who was previously with Central Pre-Mix recently joined Geo Engineers' Spokane office as field technician to support special inspection and testing, environmental and geotechnical engineering projects. GeoEngineers, headquartered in Seattle, is an integrated earth science, engineering and technology firm with offices in Washington-including Spokane, Oregon, Idaho, Utah, Louisiana and Missouri. GeoEngineers specializes in crafting unique environmental, ecological and geotechnical solutions for the water and natural resource, transportation, energy, federal and development sectors. For more information, visit www.GeoEngineers.com.